Fall is always a great season, not only because the weather is much cooler, but also because it is the time of the year again for events such as Halloween dinner parties and thanksgiving. There’s just something about this pre-holiday season that makes you want to have people over for lunch or dinner and bond with them before you all get busy on winter. And one good way to impress your visitors is to make sure that the decors in your dining room mirror the cozy vibes of this season. The bright colored elements of summer should be removed and be replaced with fall-themed decorations that will surely elevate the atmosphere inside your home. Are you wondering how you’ll be able doing that? If you are, I listed some of the things you can apply to turn your normal dining room into a fall inspired one. Choose Natural – Fall is all about nature and rustic feels. From having wooden dinner mats with printed leaves to dinnerware with nature inspired designs, going for the leafy-earthy route will surely blend well with the season. Centerpiece – a centerpiece is very important since this is the first thing your visitors will most like see on your dining table. And since its fall, the best way to go is to have freshly harvested fruits and vegetables right in the middle. 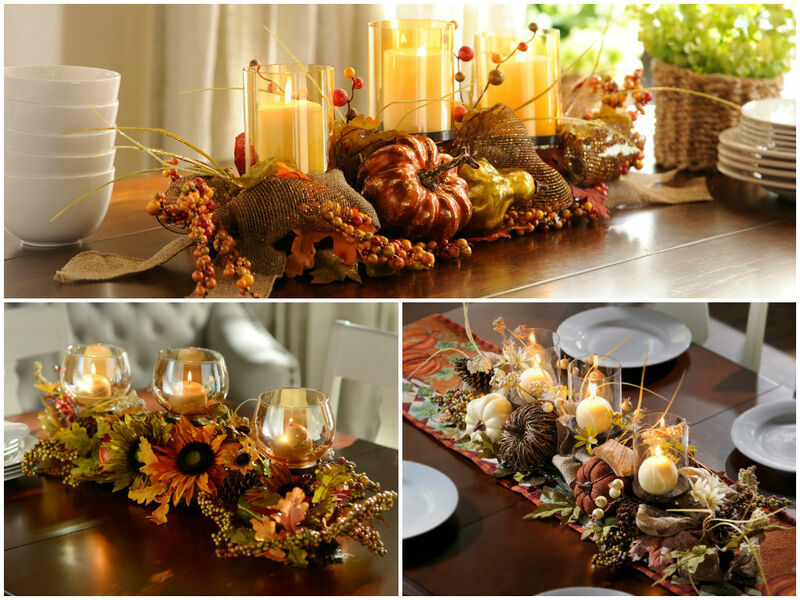 But if you don’t like that, you can also use plastic pumpkins and leafy ornaments to give your table an elegant look. Just make sure the display won’t big enough. It will block you and your visitor’s view and prevent you guys from seeing each other. Go for warmer hues – Bright colored palettes were so last season. Fall is all about earthly tones such as orange, light beige, red orange and brown. The option when it comes to the things you can incorporate these colors with is limitless. From table covers, napkins, paintings, walls, plate mats, glass holders and even chair cushion, you’ll surely find the perfect spot for them in your dining room. Make It Smell Like It – The best dining room fall makeover won’t be complete without adding scents that will remind you or your visitors what the season is. Having a light aromatic candles or pumpkin spice scents in the air will surely give you the cozy fall atmosphere that we love.